Learn how to master the plank with specific exercises and progressions in this article. You’ll build a strong, stable, and effective core. Once you can hold a plank consistently for at least 60 seconds (2:00 is ideal), progress to a more difficult variation. The key is constant progression, not mindless repetition. Master each exercise, don’t simply survive it. Have a coach or buddy to review your form and to teach you proper core positioning. Core Stiffness Drills → Planks → Stability Ball Variations → Rollouts = Abs. Rollouts are king. In Part 1 of this ongoing series on effective core training, I explicitly said that performing planks for long durations is counterproductive and a “waste of time”. My clients rarely hold a plank beyond 60 seconds in training. I keep 2:00 as the gold standard of core endurance for a plank. In fact, once my clients reach that ability they immediately advance to the next progression. First, I’ll discuss the plank. Don’t get me wrong – planks are fantastic. They are a cornerstone of core stability. I teach all of my clients a foundation of stability against various directions. These are termed anti-movements: anti-rotation, anti-extension, anti-lateral flexion (side bending), and hip flexion with a neutral spine. In each, the goal is maintaining a neutral spine (ideal spinal posture) while resisting a force (weight) or leverage. AKA, don’t rotate, arch your back, flex your back, or side bend and you’re doing it correctly. Planks are an anti-extension exercise. They build the stability required to not arch excessively under load. This skill is beneficial during exercises such as squats, deadlifts, and virtually anything overhead. They are easy to perform, easy to master, and can be done anywhere. Remember – the core is not just the six packs. It’s your entire torso. Six pack (rectus abdominis), internal obliques & external obliques (sides), lower back / erectors, glutes, hip flexors, even your upper back contributes to core stability (hello lats). Weakness or over-dominance of one muscle group will compromise core stability and abdominal development. Getting your plank to 90-120 seconds is pretty simple: work backwards. Each workout, set a goal of performing a plank for a total of 120 seconds. Let’s say a beginner client works out full body, three days a week, using two separate workouts on an alternating (A/B) schedule. Planks are performed on the A workout. Goal: 2:00 total, in as few sets as possible, with perfect form. Workout 1: 6 sets of 20 seconds today. Workout 4: 3 sets of 40 seconds. Workout 5: 1 set of 60 seconds, 2 sets of 30 seconds. Workout 6: 2 sets of 60 seconds. Now, these numbers are made up, but realistic over a three-week period. This could also be done daily until a 2:00 plank is reached – with perfect form. No sagging allowed! Neutral Spine – A PVC pipe along the spine will touch the back of the head, between the shoulderblades, and between the glutes / at the tailbone. On the toes! This fixes most form issues, actually. Goes for pushups too. Your feet should form a vertical line to the floor. Often times, “raking the obliques” helps to fix somebody’s extended plank. Simply “rake” or drag your fingers along their external obliques to “pull” their hips up (with permission, don’t go grabbing random ladies and fixing their planks). This is often tough for people to get until they feel the correct position. “Practicing” planks with your back against a wall can help – learning to posteriorly tilt the pelvis to flatten the back into a wall. Sagging the lower back. Remember, the standard is an aligned PVC pipe. No exceptions! Rounding the upper back / hunching over. Typically a sign of weak abs. Simply put, your core is not strong enough to hold a plank in proper posture. Regress to the bench plank or a position where you can keep a pipe aligned. Looking up or looking though the feet – stare at the space between your hands. Holding past the point of technical failure (form breaks down). Are you surviving the exercise, or mastering it? Holding your breath. With most core exercises, you should be able to “breathe behind the shield”. Deep belly breathing. Holding your breath (excluding bracing) is often a sign of panic and excessive difficulty. Feeling it in the back. If this is you, you’re not ready for planks. Back off, experiment with prone pullovers, dead bugs, and other basic anti-extension exercises like heel slides. If you respect the progressions and exercise standards, you will advance rapidly. Here is the list, with videos, general notes, and suggested level of mastery before progressing. Generally, 2-3 sets will do the trick. With rollouts, the key is to progress slowly. Build strength, then endurance, and then advance. Credit to Mike Boyle and Mike Robertson for laying out the original progression. Boyle mentions the possibility of abdominal strain or tearing if you bust out the wheel right away. Take your time, keep your back flat, and master the movement. If your back hurts during planks (and you’ve been evaluated by a medical professional, this article is not a substitute for evaluation and/or therapy), start here. Try all of them, find whichever makes your abs work the hardest, and go from there. I frequently have success with prone pullovers and dead bugs, but heel slides are highly effective. The goal is to build stability & stiffness in the anterior core, as opposed to the lower back. Many people are overstrong in the lower back and underuse their abs. AKA, the goal is to use your abs more than your back to maintain a healthy posture. Heel Slides – 8 per side. Curl Ups, per McGill or Sahrmann’s progressions. 3-Month or Prone Pullovers, keeping the back flat and the ribs down – 8 reps with a full exhale at the stress position. Elevated Plank – Beginners, people who hunch over in standard planks. – 60 second minimum. Standard Plank or Pushup Plank – 60 second minimum. Stability Ball Plank – Elbows on the center of the ball, chest up, PVC pipe. Stability Ball Rollout – On Knees, Rolling on Elbows. Follow Mike Boyle’s progression – 10 reps, then 12, then 15, then 20. Stability Ball Rollout – On Knees, Rolling on Hands. 10, 12, 15, 20. Stability Ball Rollout to Stir the Pot, on Elbows. 1 Rollout, 1 StP Right, 1 StP Left – 8x each. Much, much tougher than it sounds. Ab Wheel Rollout, on Knees – 10, 12, 15, 20. In my opinion, the following exercises are interchangeable. Mix it up and try each one. Use whichever you prefer. I personally don’t get anything out of Fallouts but love the others. The real winners. Master these. Remember also that bodyweight chin-ups, trained with a hollow hold or simply neutral spine, are the top abdominal exercise. Heavy dumbbell pullovers, perpendicular to a bench, are also fantastic for core stability and stiffness. RKC Plank – ridiculous core activation with this one. 3+ Sets of 20 seconds. Ab Wheel from Feet (Standing Ab Rollout – 5-8 reps. BREATHE. If you have high blood pressure, you may want to skip this one. I turn purple. How-To guide linked here and mentioned at the end. Barbell Rollout – From Box – 3×8-10, start with training plates and use linear progression. Barbell Rollout – From Knees – 3×8-10. Standing Barbell Rollout – Doable, but not my favorite. Many people keep the hips still, and shoot the torso forward to do these. The body moves as one unit – much like a deadlift. The hips drive forward, the body follows. Partial reps may be required at first. Push to the point just before your back would arch. Grab a coach, a buddy, or film yourself to determine this point. Over time, this point will improve. Keep the back FLAT. Not arched, not rounded. Some people prefer to slightly round at the start and “unwind” to flat at the stress point. I prefer to flatten my back, brace hard, and keep neutral throughout the entire exercise. Play with it. These should NOT be felt in the lower back, but strongly through the abdominals. 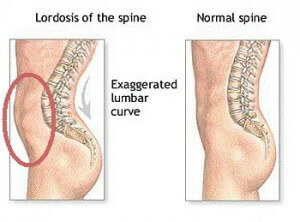 If you feel your lower back, you need to improve stability and recruitment of your anterior core. Use an Airex pad, towel, or other padding for the knees. Thank you for reading Part 2! I will be doing more of these to cover other types of abdominal training, as well as how to put it all together in a program. What questions do you have? Ask questions here or via my Facebook page at www.facebook.com/devingrayfitness! *Later this week I will be filming a video in my studio to demonstrate many of these exercises. In the mean-time, I’ve linked Youtube videos from around the web. *For the coaches and exercise geeks out there, I’ve learned a phenomenal amount about the core from Mike Robertson’s work. I can’t say enough good things. I write primarily to my clients, so if you want a more technical view – seek out Mike’s work. His blog articles are outstanding and really helped me to understand, coach, and re-develop stiffness in the core. Eric Cressey’s work is also outstanding. This is a dope article! I am going to print this out. Much appreciated man thanks.